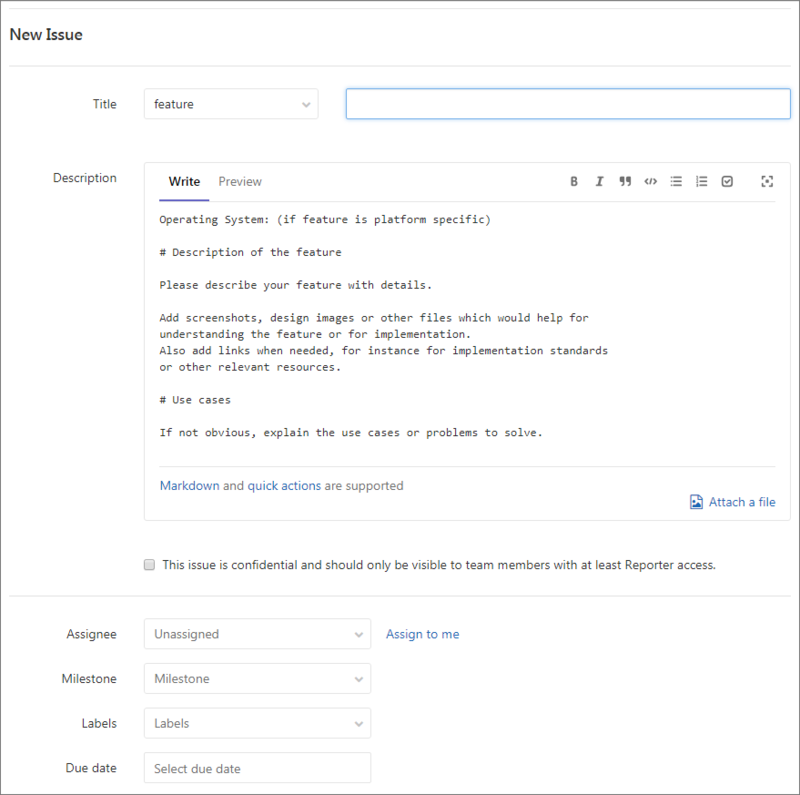 On the end-user side, this mostly means an improved bug reporting experience.The submission is easier to fill in, and we provide two templates — one for bugreports and one for feature requests. New issue form on Gitlab.For developers, it means simplified contribution, as you can simply fork theGIMP repository, commit changes, and send a merge request. Please note thatwhile we accept merge requests, we only do that in cases when patches can befast-forwarded. That means you need to rebase your fork on the master branch(we’ll see if we can do merge requests for the ‘gimp-2-10’ branch). In the meantime, work continues in both ‘master’ branch (GTK+3) porting andthe ‘gimp-2-10’ branch. Most notably, Ell and Jehan Pagès have been improvingthe user-perceivable time it takes GIMP to load fonts by adding theasynchronous loading of resources on startup. What it means is that font loading does not block startup anymore, but if youhave a lot of fonts and you want to immediately use the Text tool, you mighthave to wait. The API is general rather than fonts-specific and can be further used to addthe background loading of brushes, palettes, patterns etc.